Peter escaped poverty and the neglect of his own brother when his other brother, who was archpriest of Ravenna, took him under his wing. His brother sent him to good schools and Peter became a professor. Finally, Pope Stephen IX made Peter the cardinal-bishop of Ostia. He worked hard to wipe out simony-the buying of church offices-and encouraged his priests to observe celibacy and urged even the diocesan clergy to live together and maintain scheduled prayer and religious observance. He wished to restore primitive discipline among religious and priests, warning against needless travel, violations of poverty, and too comfortable living. He even wrote to the bishop of Besancon complaining that the canons there sat down when they were singing the psalms in the Divine Office. He asked often to be allowed to retire as cardinal-bishop of Ostia, and finally Pope Alexander II consented. Peter was happy to become once again just a monk, but he was still called to serve as a papal legate. When returning from such an assignment in Ravenna, he was overcome by a fever. 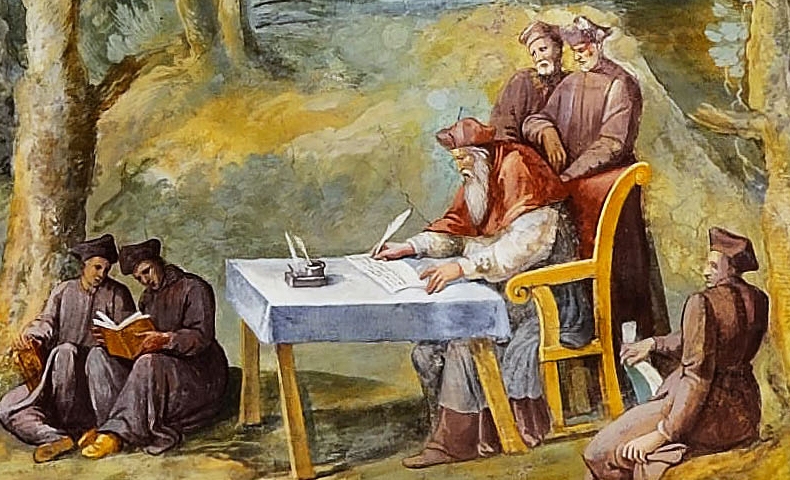 With the monks gathered around him saying the Divine Office, he died on February 22, 1072. Peter was a reformer and if he were alive today would no doubt encourage the renewal started by Vatican II. He would also applaud the greater emphasis on prayer that is shown by the growing number of priests, religious, and laypersons who gather regularly for prayer, as well as the special houses of prayer recently established by many religious communities.